Tags: ept barcelona, fatima moreira de melo, ilari sahamies, john juanda, pokerstars. 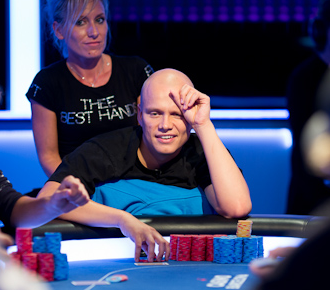 3 comments for "EPT Barcelona Main Event: 61 Players Left. Ilari Sahamies in 3rd Place!" Interesting to see Ilari up there...see how that pans out. Btw stream is live for final table if anyone care to see i think you can find it @ the official site under live coverage or something!